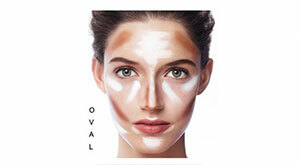 Consider yourself lucky if you have an oval face. People whose face are oval generally don’t need much correction and they look good in every camera angle. 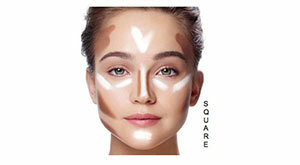 But if your face is a bit too long for your liking, you can use this contour trick to get a more proportional look. 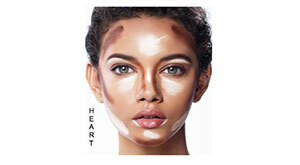 Contouring technique : apply ULTIMA II WONDERWEAR GLAM SCULPTING MAKEUP in light in the center of your forehead, along your nose bridge and the under sides of your eyes, underneath your jaw line, under your lips and chin. 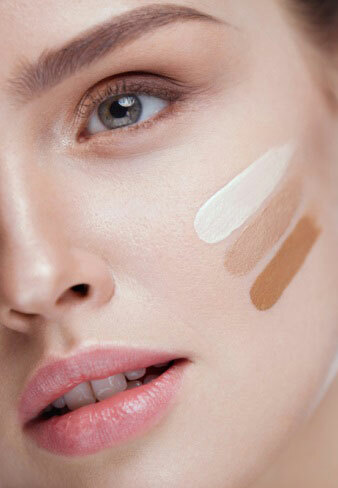 While you can swipe the espresso color thinly on both sides of your forehead, the sides of your nose and cheekbones. 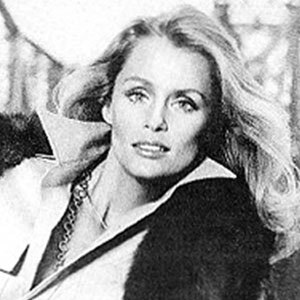 Cheekbones that aren’t protruding enough along with rounded chins, may cause some confidence issues as this kind of face may makes you look more heavier than what you really are. 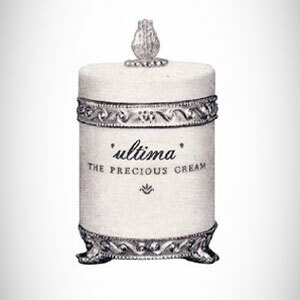 Contouring technique : apply ULTIMA II WONDERWEAR GLAM SCULPTING MAKEUP in light on your forehead, along your nose bridge , under your eyes to your nose, in the middle of your chin and the corner underneath your eyebrows. While espresso can be applied in generous amount besid your forehead, underneath your cheek bones, along the sides of your nose and a bit under your eye brows. Almost the same case with round face, the heart shaped face also have issues on looking heavy and on a small face it can make you look rather overly cute. But the small chin may bring balance to your face which is a big plus for heart shapers. Contouring technique : apply ULTIMA II WONDERWEAR GLAM SCULPTING MAKEUP in espresso on the sides of your forehead, the base of your cheekbones to the middle of the cheek and the sides of your face and the start of your eye brows into your nose bridge. After that, apply the light color in the middle of the forehead, in the middle of your nose, under the corners of your eyes towards your cheek, underneath your outer jaws, your chin, and the corner sides under your mouth. A square face may look masculine that a lot of women complains about it. You can smoothen the angles with some help of contouring technique, do it right and you will look instantly more feminine! 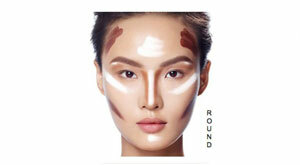 Contouring technique : Blend ULTIMA II WONDERWEAR GLAM SCULPTING MAKEUP in espresso besides your forehead, the sides of your nose, under your cheekbones and below the jawline. While the light color can be applied in the middle of your forehead and cheekbones (underneath the eyes) in V shapes, in the middle of your nose and chin.